Late Registration: After October 22, 2015, the fee will be $90. Name changes are free up through Nov. 6; after Nov. 6, there will be a $10 late name change fee (not applicable to late registrations). Free parking is available on the TOP FLOOR of the Student Parking Structure on North Lemon Street. Registration and check-in will be held in the College Center Bldg. 200 on the Fullerton College Campus. Every attendee must check-in to get their badge and sign-up on-site to participate in the On-the-Spot Contests. eBadge confirmations will arrive to attendee’s inboxes by tomorrow. The Keynote Pulitzer Prize Panel will be the content for the On-the-Spot Contests in News Writing, News Photo & Caption, and Opinion Writing. The Keynote presentation will immediately follow the welcome address at 9:15 am. Please note that the Wilshire Theatre is on campus, ACROSS THE STREET from the College Center/ Registration. Computers/Alphasmarts for contest: This year we will not be asking schools to bring any laptops or alphasmarts to SoCal. Fullerton will have two computers labs for all contests. The lab will also have WiFi and printers that students will be allowed to use during contests. 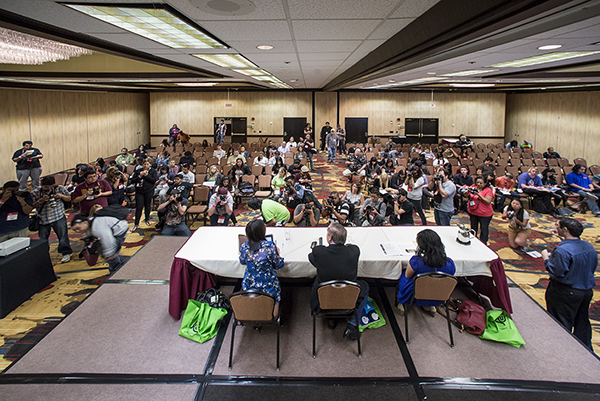 Contests: 5 on-the-spot contests for SoCal conference this year. Newswriting, Column Writing, and News Photo will be based off the keynote panel – Pulitzer Prize local news team from the Daily Breeze. Critical Review will be short play. Workshops: There will be a series of workshops from professionals in the industry and roundtables. We are encouraging every school to send at least one person to each roundtable. There will be 3 roundtables: Editors, Photographers and Writers. The roundtables will be an opportunity for students to connect and network with one another. Also it will give students the opportunity to look and explore best practices at each college. Hotel Information: (first come, first serve – there are a limited number of rooms available). Deadline to book rooms at the JACC discount is October 22, 2015. 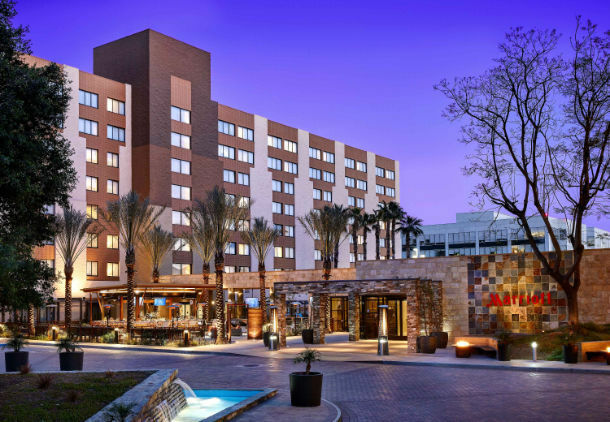 Discounted rates of $129+/night USD are offered at the Fullerton Marriott for JACC SoCal attendees at $129/night on Friday and/or Saturday, November 13-14, 2015. Rooms include breakfast buffet at the Fullerton Marriott. Or Contact Kara Lindsey to make group reservations and set up billing for your school. DEADLINE: October 22, 2015 (or while supplies last). Posted in 2015 SoCal, SoCal Conference.